Chief Operating Officer, Dunkin' U.S.
Scott Murphy joined Dunkin’ Brands in March 2004 and currently serves as Chief Operating Officer, Dunkin' U.S. In this role, Scott oversees the field operations of more than 8,500 Dunkin’ restaurants in the U.S., as well as the manufacturing and supply chain functions. He is also responsible for executing the annual restaurant development plan. 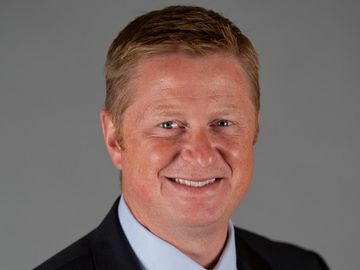 From 2004 to 2017, Scott held roles of increasing responsibility over the supply chain and restaurant operations, leading to his appointment as Senior Vice President, Operations, Dunkin' U.S. Additionally, Scott serves on the Board of Directors of the National DCP, the Dunkin' franchisee-owned procurement and distribution cooperative. From 2013 to 2015, Scott also had operational responsibility for Dunkin' and Baskin-Robbins in Europe and Latin America. Prior to joining Dunkin’ Brands, Scott served in growing leadership roles with A.T. Kearney, Inc., a management consulting firm, for over nine years. Scott worked to identify and implement operational opportunities within the supply chain for the firm’s largest clients. Scott received his Bachelor of Science degree from Georgetown University in Washington, D.C., and his MBA from the MIT Sloan School of Management in Cambridge, Mass. Scott is drinkin’ a medium hot regular coffee and enjoying a slice of Baskin-Robbins ice cream cake.